Hawkeswood Civil Ltd, Rahu Resources (New Talisman owned), Laneway Resources and Broken Hills Historic. In the Hauraki Coromandel the primary target for mining companies is the precious metal, gold; there is a lot of gold in the Coromandel Range. A range of other metals are usually listed on the permits also, including silver, copper, rare earths, iron sands and many others. Waihi – a number of permits held by Oceana Gold Corporation – an Australian/Canadian company. These permits include the open pit mine, and underground mines including those underneath residential homes. Waihi Beach/Bowentown – A huge offshore permit, for gold but also iron sand. This is held by a company that also operates permits off Taranaki, Pacific Offshore (owned by CASS Offshore Mining). Wharekirauponga/Whangamata – one of the most concerning, this permit has seen Oceana drilling in Significant Natural Areas on Conservation land – areas that also happen to be a core habitat for the Archey’s Frog, the worlds most threatened amphibian. 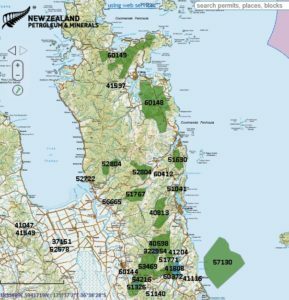 Onemana – Oceana hold this permit also, over mostly Crown Lease land currently in forestry. Opoutere/Pauanui – Oceana again, they have indicated intention to begin drilling here in the first quarter of 2019. This area is also in forestry. 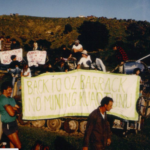 Puketui/Broken Hills – Here there is a ‘Special Purpose Mine’ – a tourist mine operated by the Rabone family. It is surrounded by further exploration permits held by Oceana Gold. Kauaeranga – Oceana Gold have this permit also. Moanataeri – an offshore permit held by Hawkeswood Civil. We know little about this permit; it has been active for some time but we have seen little activity in the area. 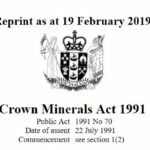 Tairua/Whenuakite – Oceana Gold hold this permit also, mainly across private land. Here they are looking at an area that has not previously been explored for gold. This permit comes close to some of our national treasures Hot Water Beach and Cathedral Cove. Whitianga/Kuaotunu – Oceana again. This permit covers the hills behind Whitianga township and covers a mix of private and conservation land across to the Kuaotunu peninsula and to Te Rerenga behind Whangapoua. This link will take you to an interactive map of Aotearoa New Zealand. Use this map to view permits, and who holds them. You can scroll in to each area to have a clearer idea of boundaries. Use the top right hand menus (‘basemaps’ and ‘tools’) for more detail – basemaps allows you to choose what map underlies the permits – we find the LINZ ‘TopoMaps’ good for getting your bearings. In the ‘tools’ menu the ‘identify’ tool allows you to click on a permit and see more detail of that permit – including bringing up a link to the permit documentation itself.